Implementation of voip services i.e. automated selling of voipon call credit and incoming numbers. Installation, customisations and debugging of numerous oscommerce contributions. 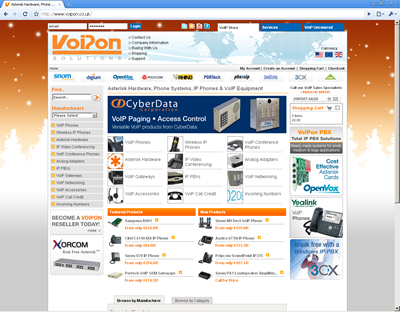 Migration of voipon.co.uk and other company websites to a new dedicated server, to replace a seriously flagging vps. Code changes required for php/mysql upgrade.